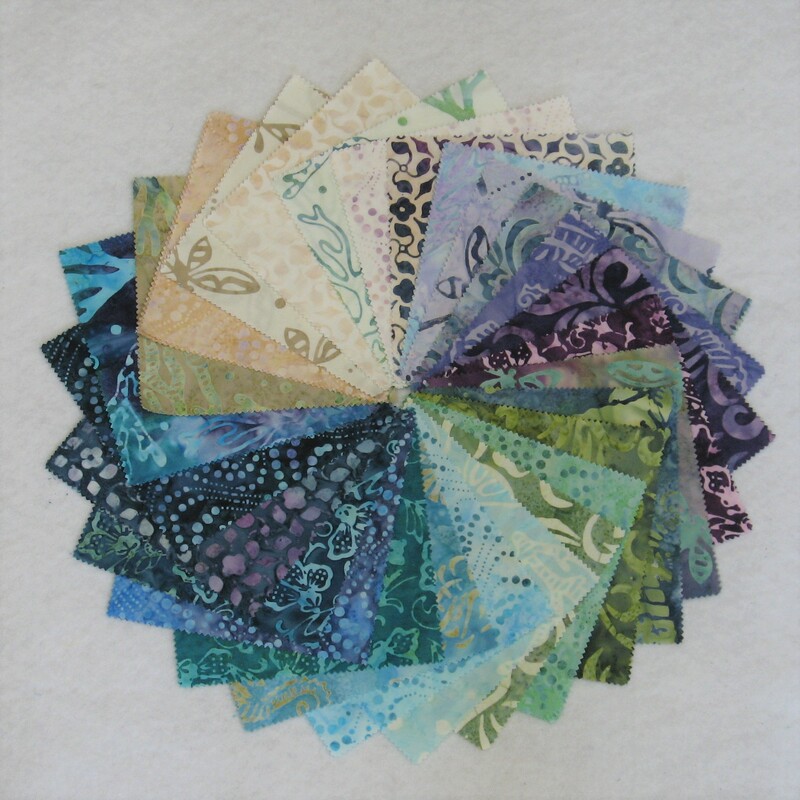 Awesome cool-toned batiks make up this kit that is easy to put together! Kit includes fabric (including charm pack, binding and backing), batting, and pattern to make the Ohio Star Table Runner. Table runner finishes at 16" x 40". The fabric is from the "Coastal Batik" collection by Maywood Studio. 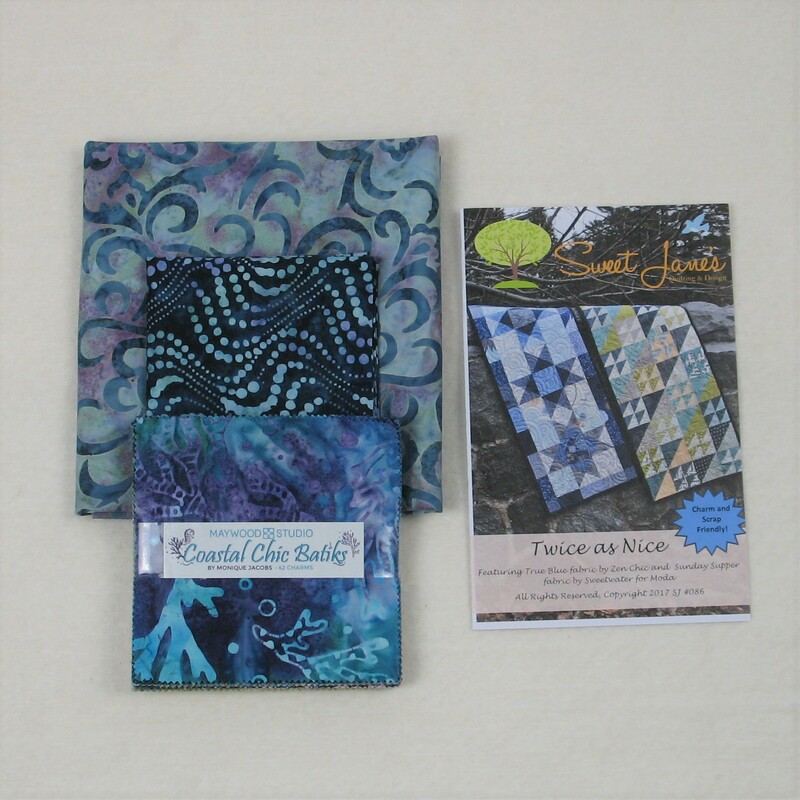 The pattern is from Sweet Jane's Quilting & Design.